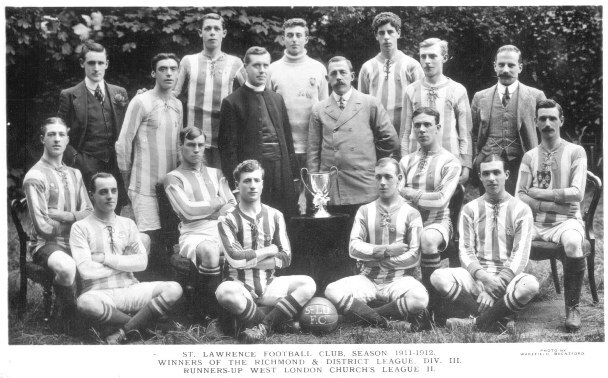 Roger Davis has provided this photo showing St Lawrence's football team in the 1911/12 season. "My uncle George Davis is far left. The vicar of St Lawrence in 1911 and 1915 was A Ernest Edwards, so this may be him in the picture." The photo was taken by Wakefield of Brentford. Please contact if you can help with any names.